Since 1983, we have been an industry leader in multi-channel contact center outsourcing solutions. More than just a conventional call center solution, we provide important, value-added services for all the communications channels organizations use to engage with their customers, markets, suppliers and partners. When a consumer reaches out to an organization like yours, it is a critical moment. Whether he or she has a question, emergency, complaint or praise, the interaction must be handled appropriately so that a consumer can be gained, not lost for life. 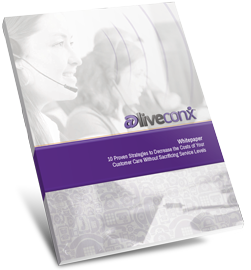 As a premier Contact Center Solution, @Liveconx has the expertise to help you help your customers. Tenant care communication is critical to every aspect of your operations. Whether it is communicating to day-to-day operational interactions or service issues, daily communication or emergency communication in a crisis – you need to keep your tenants informed and know their message has been received. Leveraging the success of our teachers@liveconx service, we now offers substitute employee management services for a variety of markets and customers that must schedule assignments from a pool of resources, on demand or with short notice, and fill absentee employee vacancies. 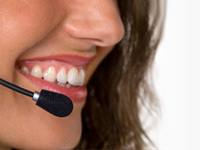 Do you need a complete Contact Center Service for contacting substitute teachers? Teachers don’t just sit by their phones waiting for it to ring. Thus, we don’t rely just on the phone as our sole method of reaching them. We will email them, SMS text them, fax them, even notify them through their Facebook account if that’s what helps to ensure your vacancy gets filled. @liveconx has helped municipalities and government agencies stay connected with the public. government@liveconx is more than a conventional call answer service. It’s a complete contact management and response service designed for 24/7 convenience that saves time and money. Providing a wide range of contact response, dispatch, reception and call answer services to contractors for over 15 years, contractors@liveconx is an effective, and affordable contact center outsourcing service that keeps your customers, prospects and suppliers connected with your business. Inside you will find out how to get actionable, accurate information that will help improve client service and provide real ROI evidence. Ready to Talk About your Contact Center Needs? 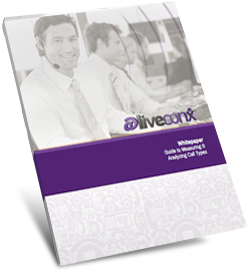 Call 1 (800) 267-9132 or click to speak with a @liveconx Solution Manager. Inside you will find 10 proven strategies that will help you rein in costs without lowering your customer care standards. Recipient of the Canadian Call Management Association’s Award of Excellence for 26 Consecutive years. Partnering with @liveconx for our community contact management, allows us to focus 100% of our resources on providing quality service and response time to every one of our clients.